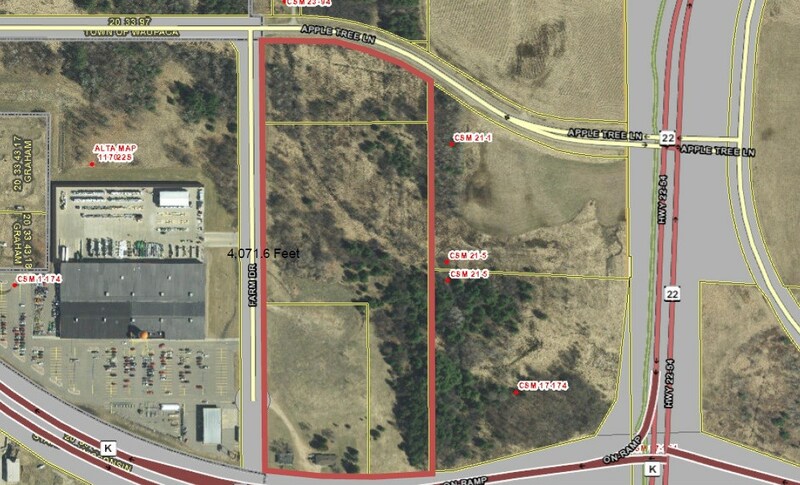 Prime Commercial TIF development land located at 2541 N. Farm Drive in City of Waupaca along Highway 10 right next to Fleet Farm offering unlimited options for maximum traffic & exposure. Near municipal airport with easy access to Hwy 49/10 & Hwy 22/54. All municipal services are located at the site offering water & sewer & electric for easy hookups. The level topography is ideal development and for locating your business right next to the high traffic counts already going by this property everyday. There is additional land available adjacent to this parcel if required to support your plans for success! Call Joe Udoni ta 715-281-8807 for more information.